I have no idea where the desire to make a cheesecake came from on Friday, but I came up with a pretty good recipe for just winging it. Part of it could’ve been that I had nothing better to do on a Friday night, or that you really can’t go wrong with dessert; regardless of the reason I’m glad that I spent some time in the kitchen experimenting. 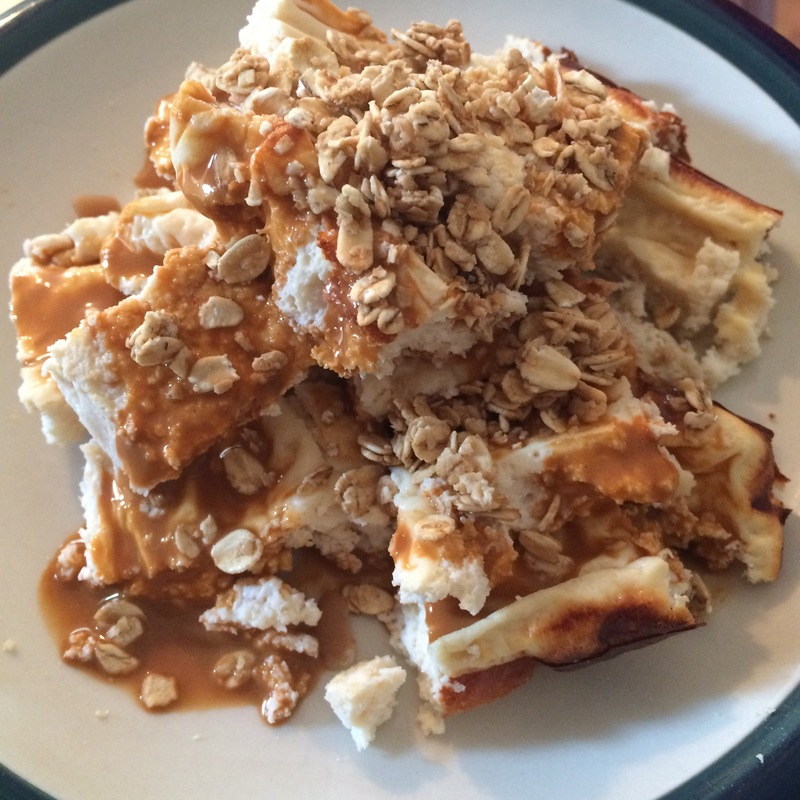 I asked my friend Tresa if she had a good protein cheesecake recipe, of course she did. The problem with Tresa’s recipe though – it makes a whole damn cake. That doesn’t work for me. I need something for 1 or 2 servings because a few things will happen. 1. I’ll get sick of it after a few days. 2. It’ll go bad because I have gotten sick of it. 3. I will eat the whole thing. After looking at Tresa’s recipe and searching on Pinterest, I came to the conclusion that I needed to start from scratch and I wanted to make a ricotta cheesecake. So here’s my recipe. 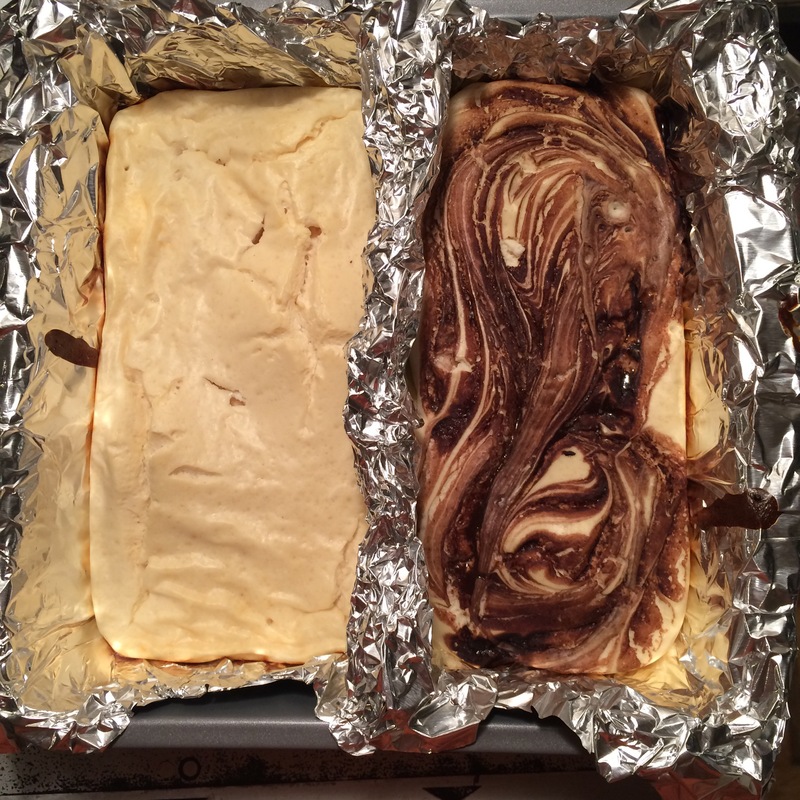 Since I made two cakes, I decided to swirl in some Walden Farms chocolate syrup into one while the other stayed plain. When I ate the plain one I used Walden Farm caramel syrup and 1 tbsp BearNaked salted caramel apple granola for topping. Most of us know the ingredients of a regular cheesecake, playing with the ingredients to make it a little healthier doesn’t hurt anyone. This still tasted like a regular cheesecake, it just happened to have a lot less fat in it and wayyy more protein for the average fitchick to enjoy. So I encourage you use your boredom on a Friday night to experiment in the kitchen and not be scared to have a failing recipe.